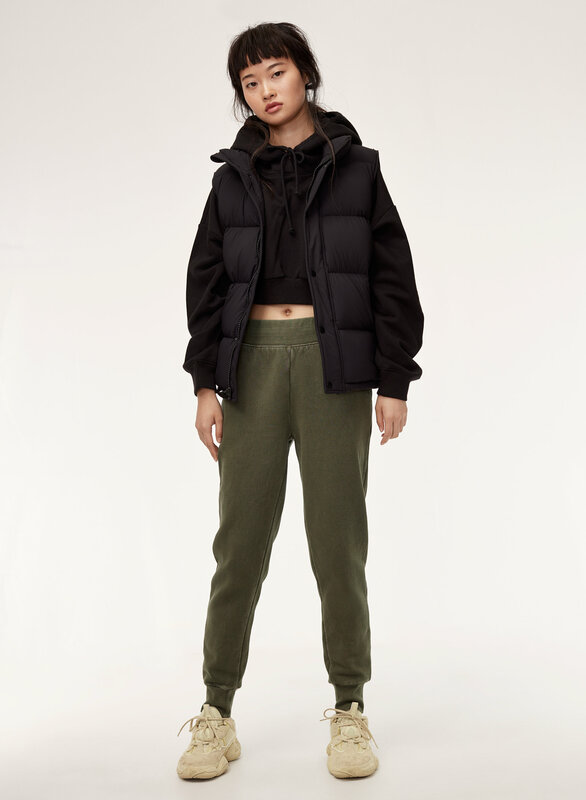 Styled with the super puff vest and the super crop hoodie . Meet Tna's favourite slim-fit jogger. It's made with their Classic Fleece, an ultra-plush, brushed fabric that keeps its shape and has an authentic, athletic feel. I usually wear a small but decided to size down and got an extra small. I’m so glad I did, they fit perfect. 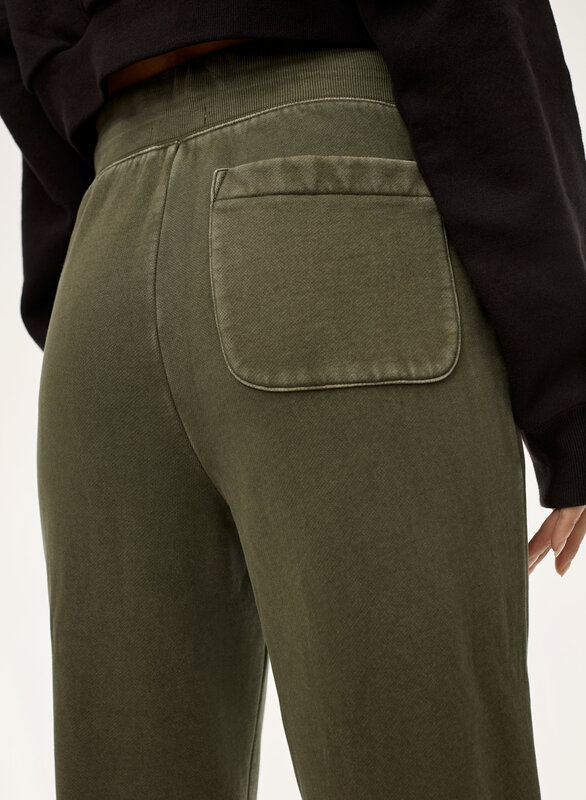 They are flattering and sit high waisted. I didn't order these online but I bought these in black & grey! 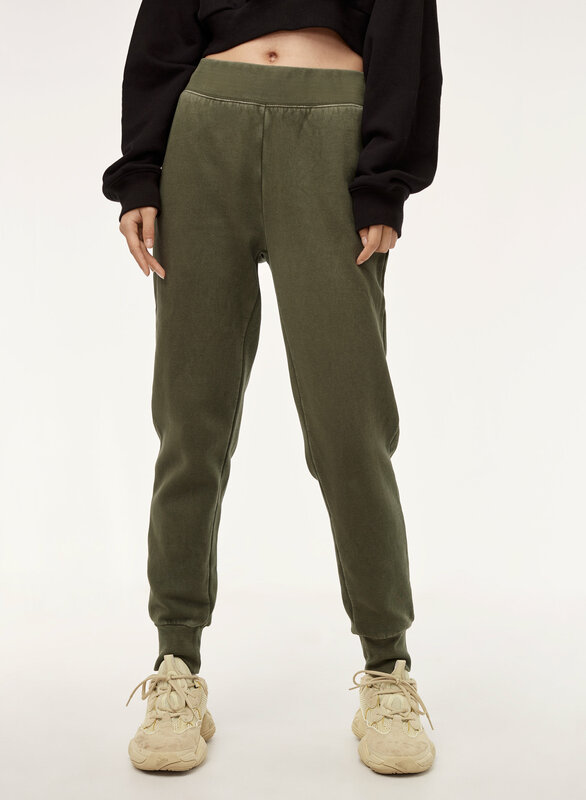 I had been looking for good quality sweatpants for quite a while & I stumbled upon these. I don't regret buying them! However, I usually purchase a size small but this time I purchased a medium because the size small was a bit snug in all the wrong areas. I have bigger thighs & a bigger bottom than the model does so that would explain why I sized up. I might even order the taupe colour! 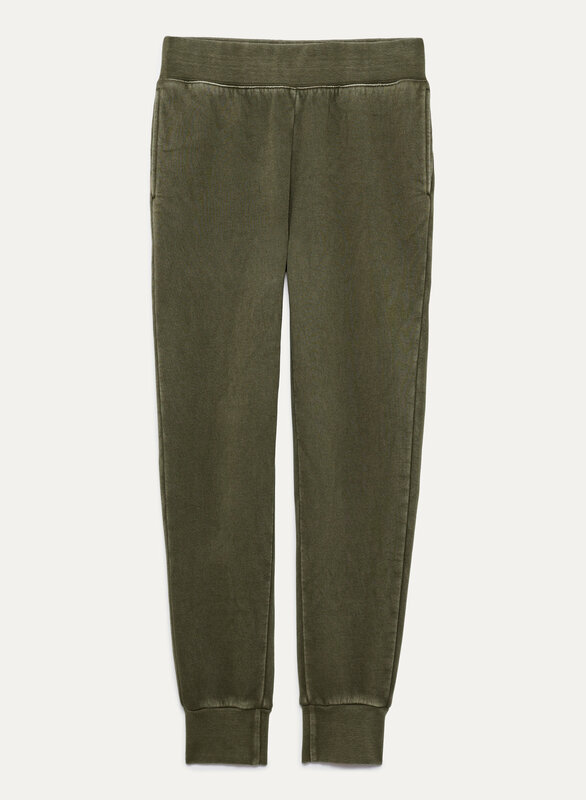 I love the look of these pants and was hesitant to order the xxs as I thought they would be too tight. Turns out I definitely should have sized down as they were a bit loose and tend to stretch out during the day. The strings save the day though and make them still wareable.